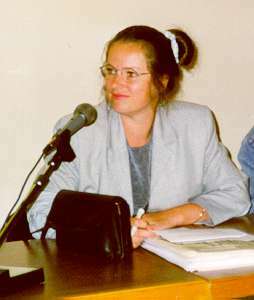 Karin van Nieuwkerk is Lecturer in Anthropology at Nijmegen University (NL), Department of Languages and Cultures of the Middle East. Her main field of research has been women in the Middle East, particularly Egypt. On this topic she has published several articles and the book _'A Trade like Any Other': Female Singers and Dancers in Egypt_, Austin: Texas University Press (1995), and Cairo: American University in Cairo Press (1996). She is currently involved in a research project on religion, gender and identity in a multicultural society, focussing on the Dutch female conversion to Islam.